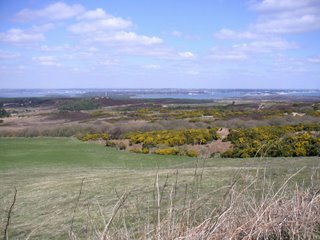 Today we've come 36 miles from Dorchester to Poole, via Corfe Castle and Studland, which is a beautiful part of the country. 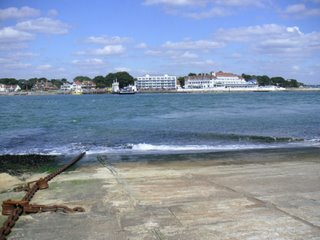 We weren't sure whether we'd have time to do Studland, and considered taking the main road straight into Poole, but I'm really glad we ended up on the scenic route. 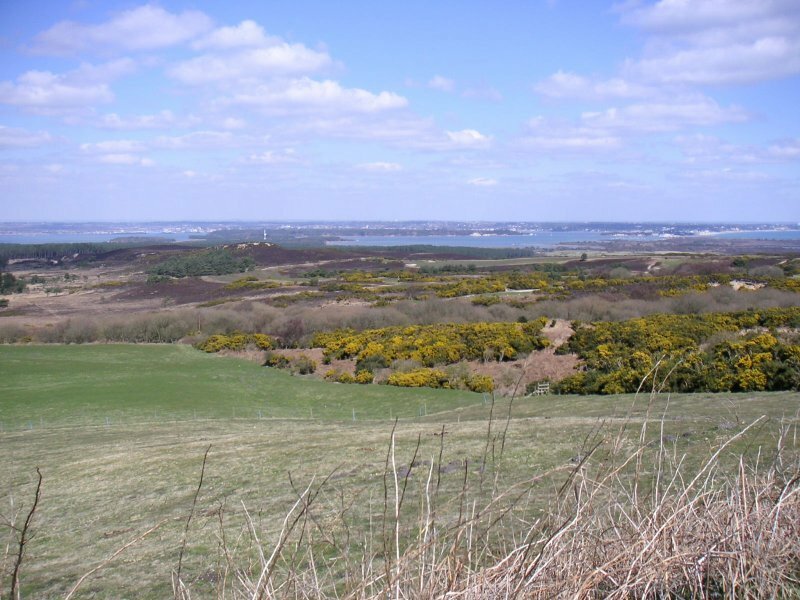 It's fairly hilly, but not outstandingly so and there are some lovely views over Poole harbour. For beauty/hilliness ratio, it's highly recommended. When you reach the end of the road, you will also have the privilege of taking an insanely short ferry trip across the harbour entrance, to get you back into Poole. We didn't get around to finding chilli icecream, perhaps another time! It's exciting to be leaving the country. We've been rushing around the past couple of days trying to get to people's houses and meet ferries and so on. From tomorrow onwards, nothing is booked or planned. The hotel (Beausejour) we stayed in was basic, and the room was tiny, but it was nice and close to the ferry port and served its purpose. I was pleasantly surprised when we asked if there was anywhere we could leave the bikes - I wasn't expecting much as the hotel was terraced with other buildings in a narrow backstreet, but we were led down the street to a secure garage. With the exception of Friday's showers, the weather's been beautiful so far, lots of sunshine although every so often a cloud passes across the sun and you shiver and remember it's still only April. We have cycled 168 miles so far. Well it's been a pretty dull few days for me - I've been shut away inside a dark pannier since Friday, while Hel and Dgym have been having all the fun. Oh well, at least they're doing all the pedalling - I'd have difficulty with that, since my legs are very short. And life in the pannier got a bit better once Hel threw in some cherry bakewells. 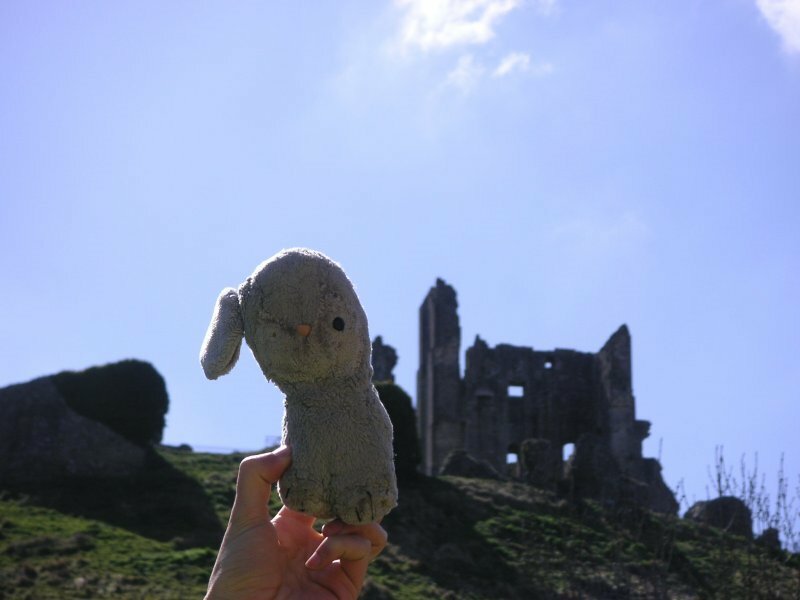 Anyway - things got a bit better for me today when they took me out and I got to see Corfe Castle, which has about as many bits missing as I do. Here I am, enjoying a bit of sunshine.